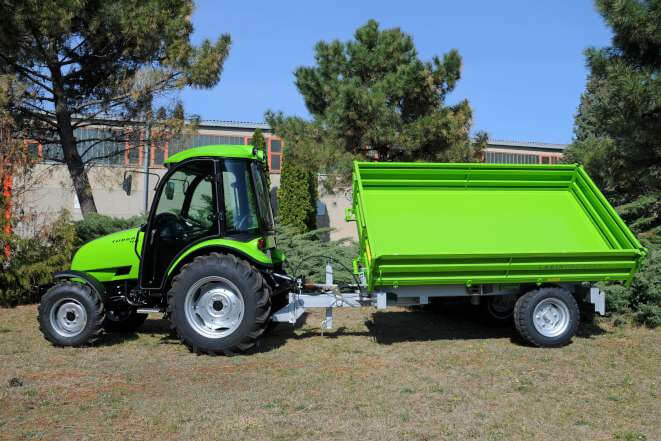 Mono­ axle towed tractor trailer PV-­4000 is a universal tractor attachment intended for broad spectrum of transportation operations. Robust and stable construction with low center of gravity enables good handling on all surfaces. 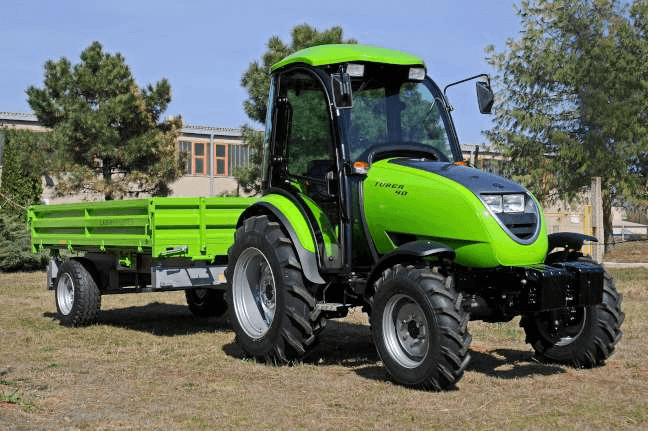 PV­-4000 has carrying capacity of 4000 kg with box dimensions 1800×3000 mm. The crate tipping is triple sided with the possibility of opening the upper and lower sides. Opening the side and back wall from below is enabled through the central levers that allow maximum functionality. 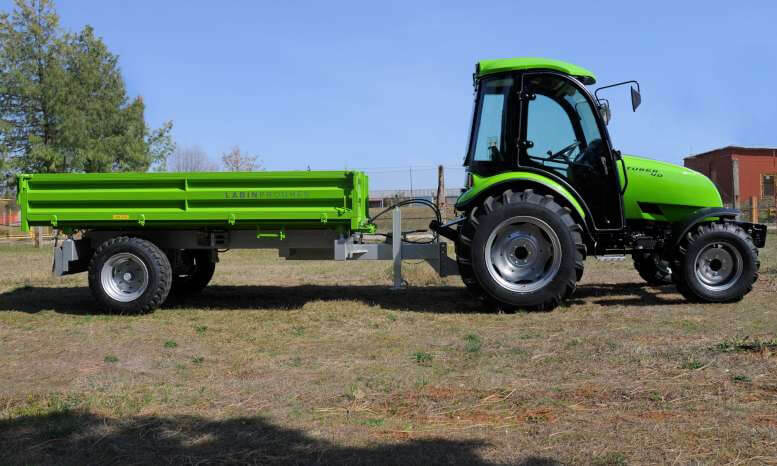 Trailer coupling can be constructed as a fixed or swivel allowing the adjustment of the height in four positions. 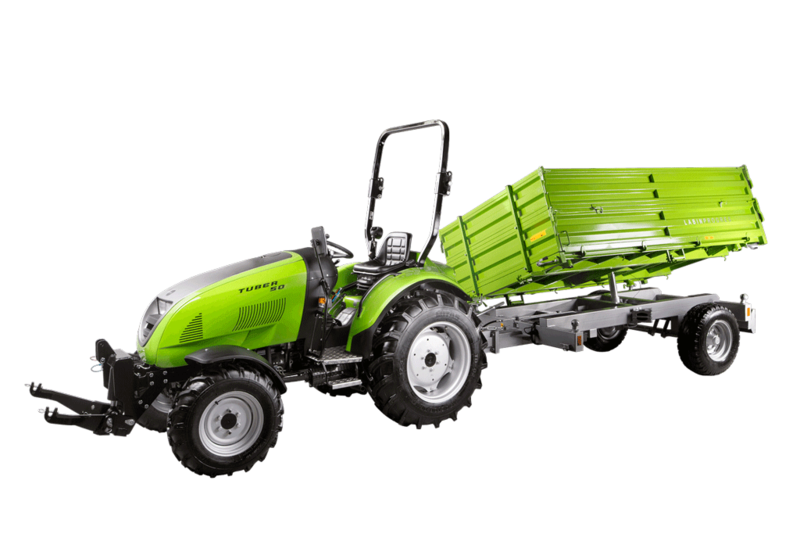 Trailer PV- 4000 is supplied with tires 10.0/75-15,3“ and hydraulic brakes or air brake systems. 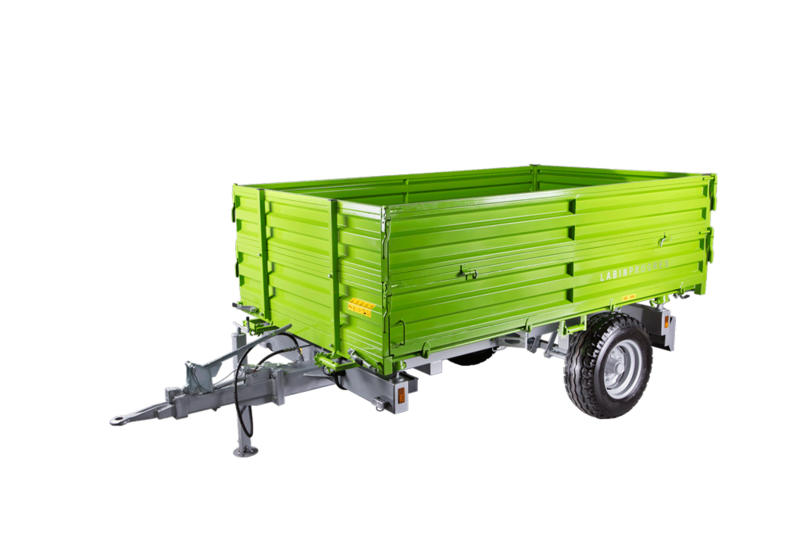 The trailer can be equipped with additional sidewall height of 500 mm. 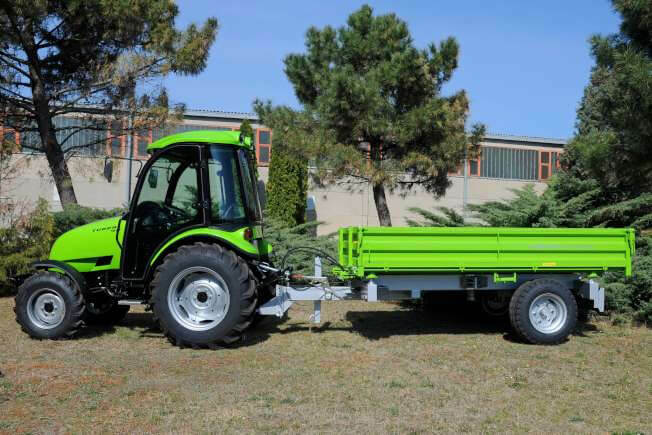 Mono­ axle towed tractor trailer PV-­ 4000 is a universal tractor attachment intended for broad spectrum of transportation operations. Robust and stable construction with low center of gravity enables good handling on all surfaces.